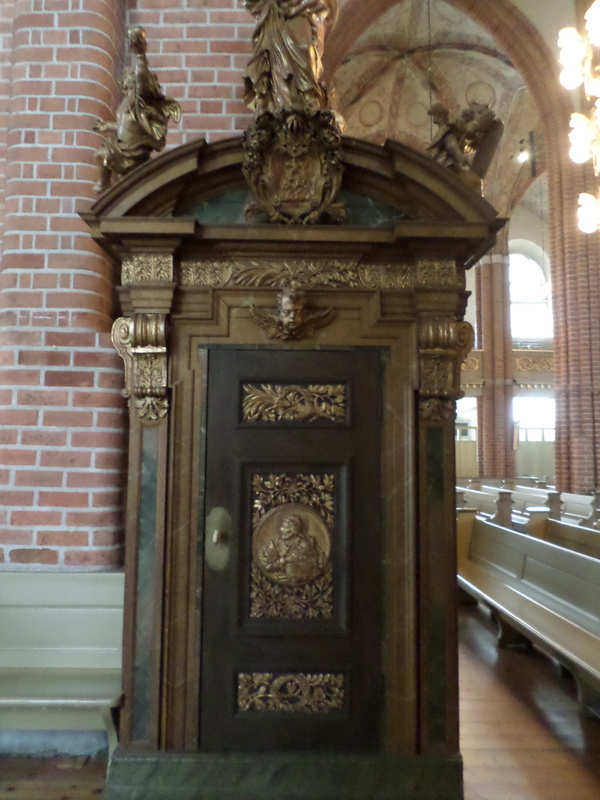 …or the continuation of our tour of the interior of the Cathedral in Stockholm. The Cathedral has a great deal of wood, brick and stone. And don’t get me wrong, the combination of the three turned out beautiful. Above is a side view of the stairway up to the pulpit. It’s gorgeous isn’t it. And at the same time, its troubling to me. Who does this cathedral serve? That’s the question that kept going through my mind as I wandered through it, in awe of its beauty. The answer is one I don’t think we really want to mention, but I will, because that’s who I am. The cathedral serves the royalty and the powerful. It serves to prop up those in power. They built it (or rather, paid for it to be built by laborers). They heard the messages that were addressed to them. 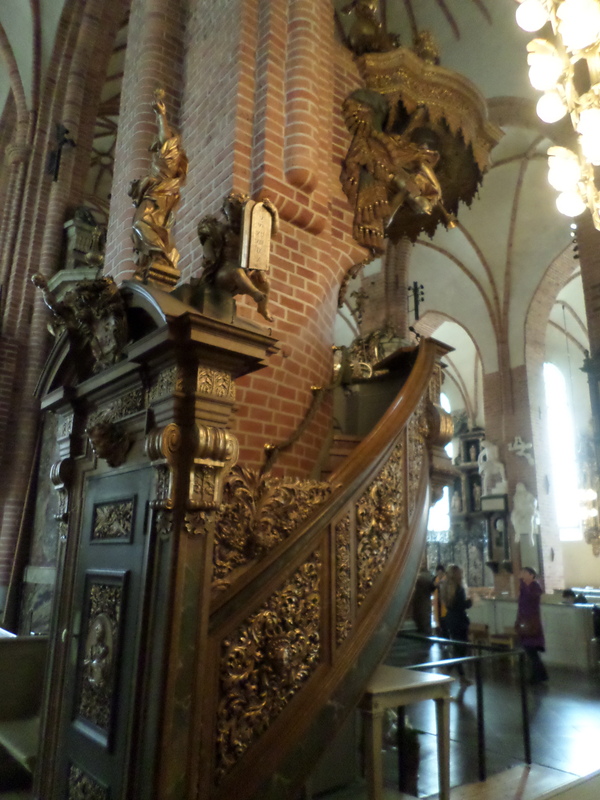 I wonder if Mark 10:17-31 was ever read from this pulpit. It’s the reading where Jesus tells the wealthy man to sell his possessions and give them to the poor and then to follow him. The pastor that would preach on that would have probably ended up in prison. The Gospel message would have to have been run through the filter of royalty. So much for conflicting the comfortable with the Word of God. Above is the door to the stairway up to the pulpit. Again, it’s beautiful and yet, it’s beauty masks something else – division. Only the chosen few are allowed to enter through. This supports the notion that there is a division between the masses and those that speak to the masses, or rule over them. 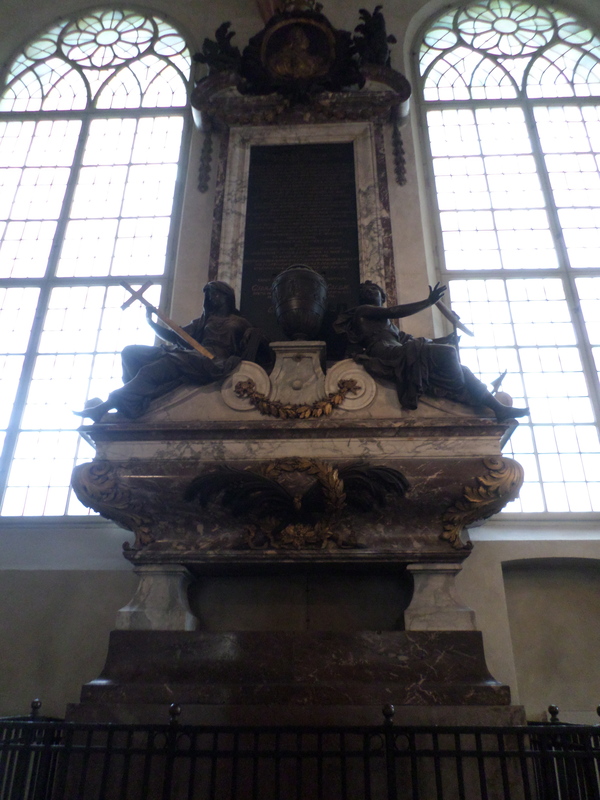 Above is a tomb. It’s inside the cathedral. 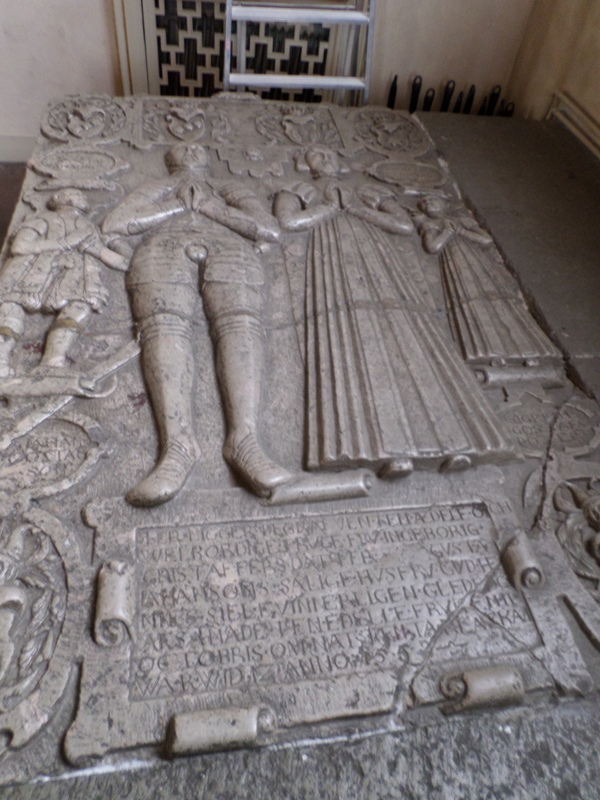 It’s a wealthy couple’s tomb. They paid for the privilege of being buried in the cathedral with the notion that they would be closer to Jesus, especially when he returns. The tomb is beautiful and yet, it’s beauty masks something else – division. It sends a message that only the wealthy and the powerful have access to God. All throughout the cathedral, there is beauty. And yet the beauty masks something else – division. A division that humans created to separate those that are chosen by other humans and the masses who are unlucky. The chosen ones are surrounded by wealth and beauty and hear a comforting message while they see comforting images. The irony is that the Gospel message was being preached all around society, except in the cathedral. The message was that God is with the outcasts, the outsiders, those without power or value. The images were stark and the wealthy and powerful ran to the church to escape the visual imagery they saw. It was uncomfortable. Yet, it was real. So much better to manipulate the church and God and receive a supposed divine blessing on the established order of things. Is it any wonder why people would opt out of the church when they could. Why pay the church tax when the church’s message was to comfort the comfortable all the while the conflicted suffer.